Some of us do not mind living out ordinary lives, where there is not much value placed on the flashy and expensive items. After all, relationships and friendships have a higher value in such eyes, as opposed to having premium products all the time. However, when it comes to a topic like gaming, dedicated gamers will tell you how they love having nothing but the very best, and the Xbox One Elite Bundle steps right up to the plate in order to fulfill such lofty expectations. After all, why pick up a regular Xbox One when you can settle for the Xbox One Elite Bundle, right? With the Xbox One Elite Bundle, you will be able to play like a pro, where storage for your games – Xbox 360 titles included, will be doubled, thanks to the 1TB Solid State Hybrid Drive. Of course, you will also be able to get to the action 20% faster from energy-save mode, in order for you to spend more time gaming rather than waiting. Apart from that, your hands will definitely appreciate the kind of pro-level precision in which the Xbox Elite Wireless Controller sports, as it boasts of an arsenal of swappable components, Hair Trigger Locks, and limitless customization, all within the confines of an easy-to-use app. There is a wide range of thumbsticks, D-pads, and paddles to choose from for a tailored feel that provides game-changing accuracy and speed. The asking price of $499 Xbox One Elite Bundle certainly does not put it beyond the reach of many, and with the holiday season just looming up upon us, how about taking the necessary steps to secure one for yourself – or perhaps the whole family? 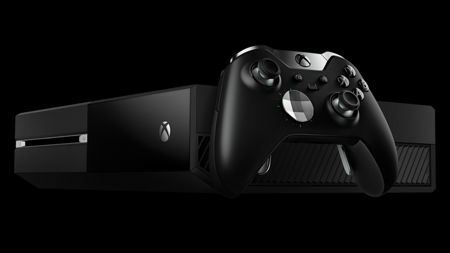 Each purchase will also come with an Xbox Elite Wireless Controller carrying case, a 14-Day Xbox Live Gold Trial, a HDMI Cable and a power supply.